Today's blog post is not about peaches. 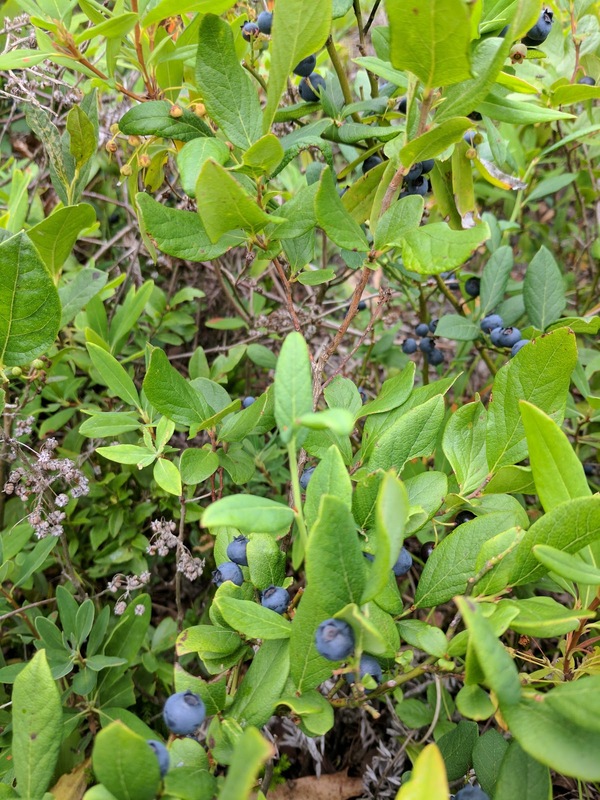 It's blueberry season, and this is the first weekend day we've had to go pick them in a while. So I dragged the family out of bed with the promise of muffins and we went to "our spot." Sometimes when we are there we see an older Ukrainian gentleman who is picking as well but we didn't see him today. We did see lots of people walking through there, more than previous years. They knew exactly what we were doing but no one seemed to care. In a little over 2 hours many busy hands gathered 20 cups of wild berries and got out of there before the rain came. At home, I sorted and washed the berries and pulled off all the little stems that stayed behind. Then I made two batches of blueberry jam back to back so for the purposes of making labels I'm lumping them all together. Twelve jars in total, each batch was six cups of berries, four cups of sugar and a package of powdered pectin. Six more cups of berries were set aside in the freezer for pancakes or other baking projects. 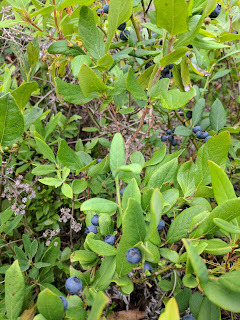 The rest are being saved for tomorrow when I can make blueberry scones. Maybe I'll toss a peach in them for good measure. This jam won an honorable mention at the fair!